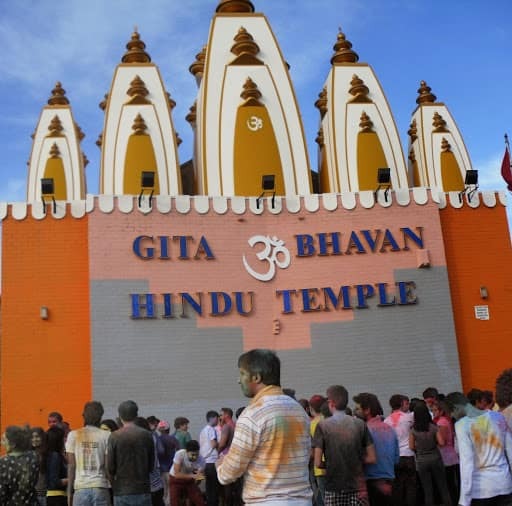 It is a great pleasure for us to extend our sincere thanks and congratulate all the members of Hindu community who have contributed their efforts and money for the completion of the beautiful temple. 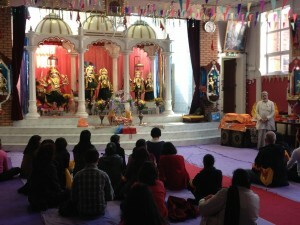 Building a temple is paradigmatic and ethical act. 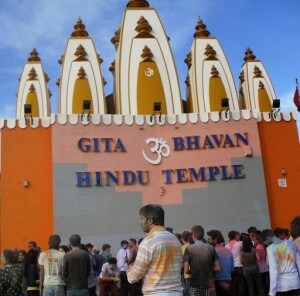 It is believed to be equivalent of offering sacrifice – an act which makes one truly pious. 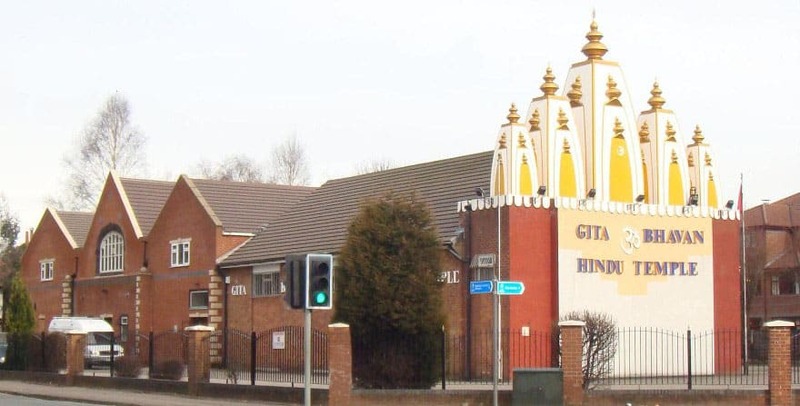 The Hindu community of Manchester has performed this pious act by building the temple under the guidance of the three trustees of Gita Bhavan Hindu Temple. 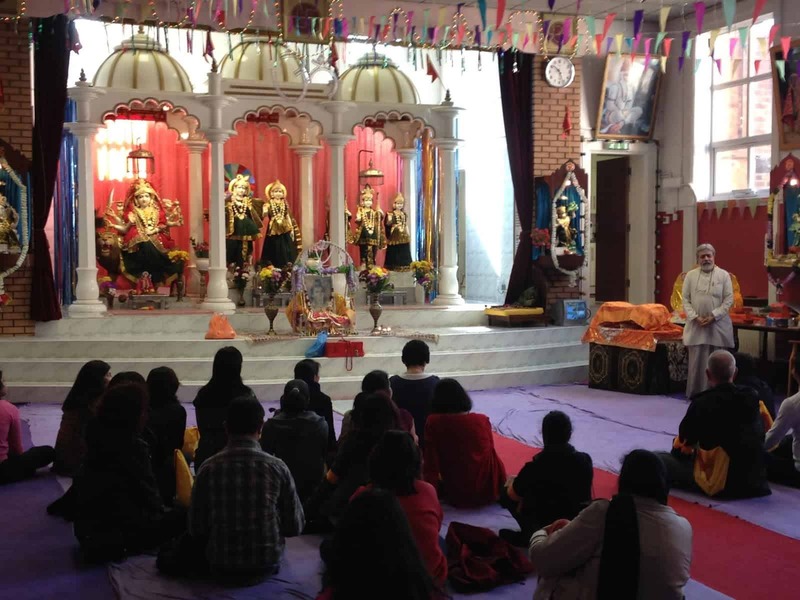 The population of Hindu community has increased during the last decade and it was felt that there was a great need of a community hall and a worshipping place. So that the young generation should understand its cultural and religious background. 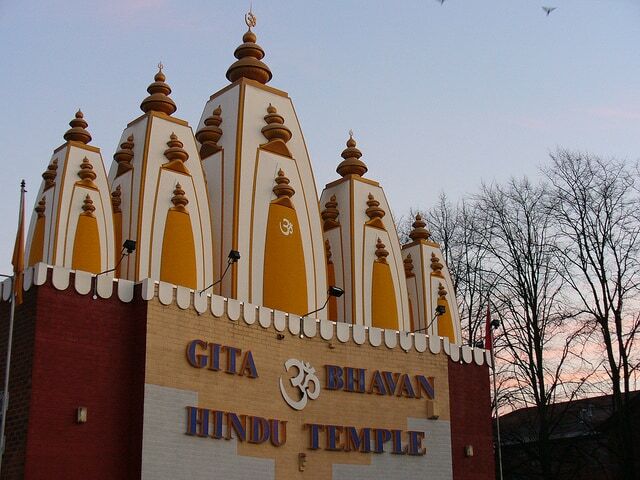 Gita Bhavan was only a vision seen by just a few foresighted Hindus. 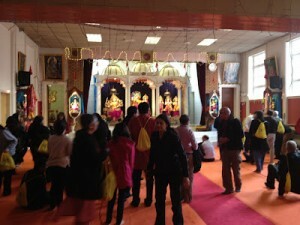 The Hindu cultural society started with five families in 1987, meeting once a month in a church hall. The present site was bought in 1987, the vendor sold it with the impression that a part of the property had to be demolished fro it was infected with dry rot, the broken windows and leaking roof. Manchester city council helped us to restore the building to its present standard with a substantial grant. The whole Hindu community of Manchester is highly indebted to the council for its kind gesture. A lots of alternations where made to hall to make it into a temple. The assistance and aid given by many has turned that vision in to a reality. The temple has been built by very practical people for very practical purposes.